Silent Scream is the latest hardback from Karen Rose. It starts with an arson that goes wrong as an innocent young girl is killed. The four college students who set the fight thought that awful night was over with but someone else was there that night – someone who is not going to let them forget. While fighting the fire, fireman David Hunter discovers the young girl’s body and a mysterious glass ball. When he goes to speak to the homicide detectives he comes face-to-face with Detective Olivia Sutherland, who he spent the night with two years previously. Drawn into the investigation personally and also professionally, David and Olivia search for the killer of the girl and also of the security guard who was shot at point blank range on the site. The story unfolds from the blackmailer, arsonist and detectives points of view. Karen Rose does this brilliantly by setting the story over only a few days and timing everything which keeps the pace up and the tension throughout. This is only the second Karen Rose that I’ve read but I will be reading more. 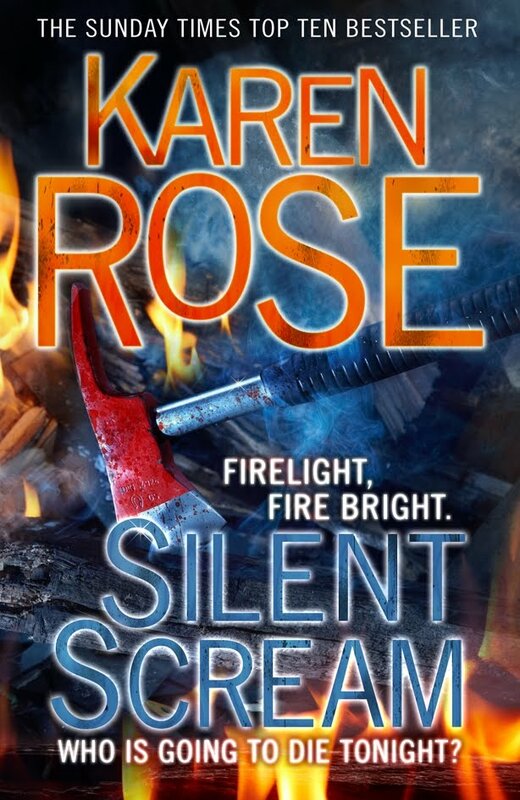 There are three reasons for this: 1) Karen Rose writes with confidence about the detective work and also about the criminal mind, 2) she writes vividly about passionate romantic relationships without interfering with the main crime thriller storyline and 3) she connects each of her books by using a whole cast of characters who are all interlinked. David Hunter is the brother of one of the characters from Don’t Tell, Karen’s first book. But you don't have to read of them before it just means the more you read - the more your knowledge of Karen Rose's fantastic world is built up. From what I’ve read you should also read I Can See You alongside Silent Scream (as characters and stories are closely linked) but do make sure that you add them to your reading pile, and soon.